It’s time for World on a Plate again! This time, we are making fruit desserts. I have to admit, there’s no sweet concoction that I dislike. But, I’m especially partial to fruit desserts. As I’m writing this, it makes me happy just to think about the local wild blueberry pie I recently had at a restaurant in Burlington, Vermont. A scoop of vanilla ice cream on top made it even better. I can’t wait to check out what my friends at World on a Plate have made with summer fruits. 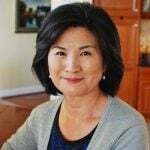 For my part, I’ve decided to introduce hwachae, which is a Korean traditional fruit punch. 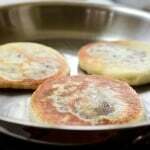 Hwachae is commonly made with various fruits and sweet drinks and served as a dessert or snack. There are many variations, and some are even made with edible flower petals or grains such as barley or rice cakes. Traditionally, the base drink is water sweetened with honey, syrup, or sugar. In modern times, carbonated drinks and fruit juices are also commonly used. 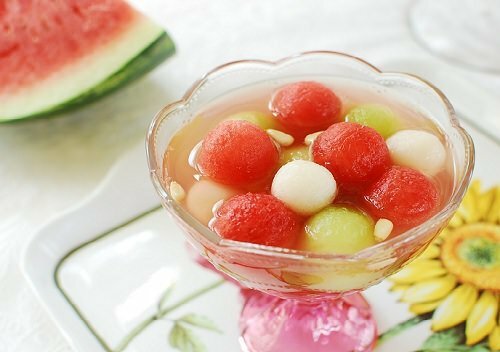 Hwachae made with watermelon (subak) is a summer favorite. I made it here with ginger ale, but Sprite or 7 Up would work well too. I also added a little bit of Korean drinking vinegar made with black raspberries (bokbunja) to add color, acidity and, of course, another layer of flavor. 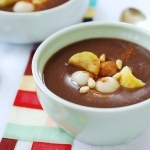 You can substitute it with pomegranate or cranberry juice. You can also add any fruits you like. I added some deliciously ripe honeydew. If you want to make it really fancy, add some rice cake balls, which aren’t hard to make. Below is a simple recipe for rice cake balls. 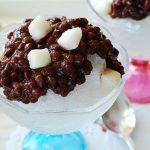 Play around with different fruits and drinks, and enjoy Korean hwachae this summer. It’s easy, refreshing, and full of summer flavor! Make the optional rice cake balls as shown below. Scoop out watermelon and honeydew with a melon-baller. (Or, cut into about 1-inch cubes.) Place them in a large bowl along with any juice from the fruits. Add the ginger ale and the drinking vinegar (or pomegranate or cranberry juice) to the fruits. Stir gently. Taste the drink and adjust acidity and/or sweetness by adding more drinking vinegar (or juice) and/or sugar. Mix the rice powder, sugar and salt in a bowl. Mix in the boiling hot water with a spoon. When cool enough to handle, knead by hand until a dough is formed. Shape the dough into a 3/4-inch thick cylinder. Cut into (or pinch off) 3/4-inch pieces. Roll each piece between the palms to make a small ball. Wow this is a very interesting fruity dish, I thought initially it was similar to the Asian almond jelly and melons but as I read there were rice balls in there. Yum! Very delicious fruit salad. I love your recipe for rice cake balls, simple but I am imagining that it take this salad to the new level. Great job as always! How cool! 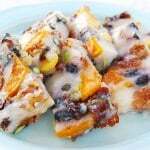 love the rice cake in this fruit salad! It gives it a special touch! Your watermelon punch looks so refreshing! I am curious about that drinking vinegar. Will have to check it out. Really interested in that Korean drinking vinegar! This looks so fresh and inviting! I have no idea how to pronounce the dish but it looks wonderful – very light and refreshing for a summer’s day. 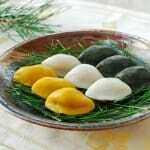 I love the look of the rice balls as well… so pretty! 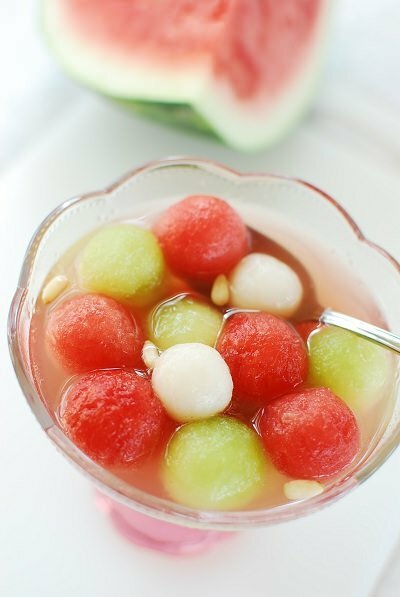 We have similar dessert called Shiratama Dango but usually not with watermelon. I love how you scoop watermelon to be the same ball shape! So pretty and perfect summer treat. I already feel refreshed only looking at your beautiful punch. It sounds delicious. This is something new to me and it looks fantastic! 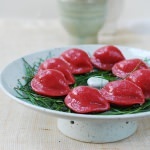 I found your blog through a web search for a bibimbap recipe and lady, your blog is AWESOME! 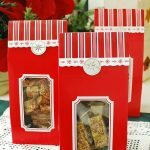 Thanks so much for sharing such great recipes! This fruit dessert was a hit with my family. And so was the bibimbap. Now we all want to go Korea! Thanks! So pretty!! And it sounds very refreshing indeed. Very beautiful i love the colors! Must have tasted great! That’s a great recipe and we use Chinese watermelon also in the Chinese version. can you tell me how the rice balls are stored after they are cooked? and for how long? You can freeze them for up to 2 to 3 months. Freeze first on a tray with no pieces touching and then put them in a freezer bag. Hello, I want to try to make this recipe for a get together. How far ahead can I make it? Thanks. You can make rice cakes ahead of time, freeze, and boil right before using. The drink and fruits will be best prepared on the same day. Enjoy! We are going to a party with a Korean theme and I am bringing this as a dessert. Do I put this all together at the last minute or mix it ahead of time to let the flavors blend? I assume it is at the last minute because I would want the ginger ale to still have it’s “fizz”. Thanks for your help. Depending on how long it will sit, I think it’s a good idea to have everything ready and add the ginger ale when you get there before dinner. This will allow some time for the flavors to blend. Enjoy! Do you serve it cold or room temperature?